On January 1, 2019, Niles Lehman retired as Editor-in-Chief of Journal of Molecular Evolution. Following the founding period from 1971 to 1999, in which the journal was edited by Emile Zuckerkandl, Martin Kreitman served as Editor-in-Chief, initially together with Takashi Gojobori and Giorgio Bernardi, until 2012. The torch is now passing to me. In taking over as Editor-in-Chief in 2013, Niles Lehman wrote a nice history of the journal (Lehman 2013) in introducing himself as the Editor-in-Chief and I am continuing in this tradition. Dr. Lehman has a research profile on the origin-of-life side of molecular evolution and has played a major role in maintaining the continuing strength of the journal in that direction. Journal of Molecular Evolution has differentiated itself from other evolutionary journals in its joint emphasis of biological evolution (which is common) and chemical evolution. The emphasis on the chemical side of molecular evolution follows from the seminal thinking of Zuckerkandl and Pauling in merging biochemistry and physical chemistry with evolutionary biology (Zuckerkandl and Pauling 1965). My own history has followed this trajectory, but with different emphases. I received my B.A. in Biology at Oberlin College, more focused on molecular than evolutionary biology. I entered the Biology Ph.D. program at Caltech in 1992, but switched to the chemistry program after joining the research group of Prof. Peter Dervan (Dervan 2001). I spent my Ph.D. thinking about the affinity and specificity of molecules interacting with DNA in the major and minor grooves, as well as the design of molecules that would alter the topology of DNA when bound to it. This was in the general field of molecular recognition. Common experiments involved examining specificity of designed molecules towards single base changes in synthetic double-stranded oligonucleotides. My overarching thought to this, as the first genomes were being sequenced in the 1990s, was to ask when these types of specificity changes mattered biologically. I wanted to study comparative genomics before there were genomes to compare. I had the opportunity to pursue postdoctoral research with Prof. Steven Benner (Benner et al. 2007), who had just moved from Switzerland to University of Florida and was building a suite of computational tools for the evolution of the protein-encoding content of genomes. This time in Florida provided my introduction to the field as a whole and particularly to ancestral sequence reconstruction and to tests for selection. Towards the end of my postdoctoral period in 1999, bioinformatics was emerging as a new field and a meeting was organized in Lund, Sweden to synthesize this new interdisciplinary field for the genomic era. That meeting and interactions between Steven Benner and Prof. Gunnar von Heijne (von Heijne 2011) led to my first faculty position at the then new Stockholm Bioinformatics Center (SBC) and in the Department of Biochemistry and Biophysics at Stockholm University. The interdisciplinary nature of science at SBC in the institute that Prof. von Heijne assembled contributed significantly to my thinking and introduced me to important concepts at the multi-faced boundaries between molecular and evolutionary biology, biochemistry, physical chemistry, computer science, mathematics, and statistics. After my time at SBC, I have led research groups subsequently at University of Bergen (Norway), University of Wyoming, and now Temple University. My group has focused on tackling questions in comparative genomics on the lineage-specific functional divergence of genomes, including the development of the TAED Database (Hermansen et al. 2017) and more recently on process-based models for characterizing the evolutionary genotype–phenotype map (Liberles et al. 2013). During this time, I have supervised a number of postdoctoral researchers and Ph.D. students, whom I have also learned from. As I have aged as a scientist, I have thought more about my place in the scientific endeavor. I think about the contributions that Peter Dervan, Steven Benner, and Gunnar von Heijne (and other PIs at SBC) have made early in my career to the way I think about scientific research. In this chemical trajectory, Prof. Benner has paid tribute to his mentor, Prof. Frank Westheimer, in naming a research institute based in Gainesville, FL, USA after him. I have made sure to introduce my Ph.D. students and postdocs to classic papers from Zuckerkandl and Pauling (Zuckerkandl and Pauling 1965) and from Westheimer (Westheimer 1987) in this vein of molecular evolution and hope my trainees will continue this trajectory, mutating the science I have taught them into their own syntheses. In 2005, I had the opportunity to host a small, focused meeting in Kristineberg, Sweden on ancestral sequence reconstruction. Following the meeting, I was able to put together a contributed book, called “Ancestral Sequence Reconstruction” (Liberles 2007), with an introduction written by none other than Emile Zuckerkandl. From this background, I undertake a re-organization of Journal of Molecular Evolution. With the growing maturity of genome sequencing, the increasing availability of other large (including phenotypic) datasets from multiple species, as well as the application of genome sequencing data to allied fields (like ecology), there is an opportunity for Journal of Molecular Evolution to expand the scope of the papers it includes. A follow-up editorial from members of the Editorial Board will focus on emerging science within molecular evolution. From the perspective of journal organization, a new tier of senior editors has been introduced, each heading a sub-field of molecular evolution. Michelle Meyer (Boston College), carrying on the tradition of chemical evolution, will be the Senior Editor for Abiotic and Chemical Evolution. Focusing on the biology side, Belinda Chang (University of Toronto) will be the Senior Editor for Gene and Protein Evolution. Eugene Shakhnovich (Harvard University) will be the new Senior Editor for Evolution of Macromolecular Structure. Andrew Storfer (Washington State University) will be the Senior Editor for Molecular Evolutionary Ecology. Bill Murphy (Texas A&M University) will be the Senior Editor for Genome Evolution. A new emphasis will also be placed on both theory in molecular evolution and on the development of software to enable molecular evolutionary analysis. Jody Hey (Temple University) will be the new Senior Editor for Theory in Molecular Evolution, while Arndt von Haeseler (University of Vienna) will be the new Senior Editor for Software and Computation in Molecular Evolution. Aaron Goldman (Oberlin College) will be the new Senior Editor for Reviews and Perspectives. In addition to many continuing Associate Editors, a new collection of Associate Editors has been added to the journal roster, with an emphasis on younger independent scientists. I look forward to working with this group of editors as well as with the continuing Editorial Assistant Anna Coleman-Hulbert, who is based at University of Oregon, and new Editorial Assistant Rebecca Kaufman, who is based at Temple University. Journal of Molecular Evolution has a rich history in various fields of molecular evolutionary biology, but with a particularly notable history in molecular phylogenetics. An examination of five of the most cited papers in the history of the journal include work from Kimura on estimating evolutionary distances based upon the now classic Kimura 2-parameter model (Kimura 1980), from Felsenstein introducing the maximum likelihood method for tree reconstruction and the F81 model (Felsenstein 1981), papers from Hasegawa and Kishino introducing the HKY85 model (Hasegawa et al. 1985) and evaluating maximum likelihood tree reconstruction (Kishino and Hasegawa 1989), and from Yang introducing gamma-distributed rates across sites for maximum likelihood tree reconstruction (Yang 1994). With this history, I hope to reintroduce an emphasis on molecular phylogenetic methodology to Journal of Molecular Evolution. With the composition of the set of senior editors, there is also an intention to expand the publication set in evolutionary genomics and in applications of evolutionary genomics and molecular evolution to problems of an ecological nature. From molecular population genetics to macromolecular evolution, from the evolution of molecular genotypes to molecular and cellular phenotypes to the genotype–phenotype map, from experimental and in vitro evolution to chemical evolution, molecular evolution is a broad field that should be reflected in the papers published in Journal of Molecular Evolution. While Journal of Molecular Evolution is not affiliated with an extant society, it aims to be a complementary resource in the scientific community to other journals affiliated with societies and meetings that many in the editorial board are affiliated with. I have previously served on the council for Society for Molecular Biology and Evolution and remain an active participant in that society. Journal of Molecular Evolution also aims to be associated with an effort to give back to the scientific community. The journal will begin sponsoring a meeting to be held every 3 years on the east coast of North America, with lectures covering many areas also represented in the journal. The journal will also make other efforts to support the molecular evolution research community, including small levels of support to a few regional meetings. Lastly, in 2001, the Zuckerkandl Prize was established for the best paper published in the journal in a given calendar year, but has not been awarded in a number of years. This prize will be re-established as a $250 cash award, given each December to the first author of the prize paper. In early December of each year, I will convene a committee of Editorial Board members to discuss papers nominated by the Editorial Board at large and recommend a winning paper. Many of the editorial policies for the journal will continue, as will the structure of published manuscripts. Two small changes will be made. Returning to the previous practice of acknowledgment of handling editors, the name of the handling editor will now be published with each paper. Additionally, a new set of perspectives pieces to review important papers, both those published in Journal of Molecular Evolution and those published in other journals will be added, falling into the structure of short reviews. 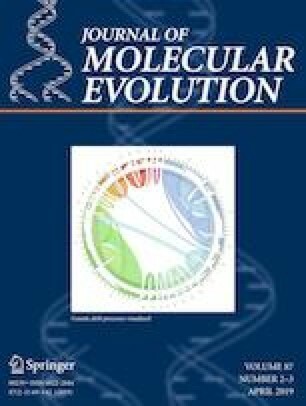 With this, I hope to continue the legacy of Zuckerkandl and Pauling, as well as that of Kreitman, Gojobori, Bernardi, and Lehman, in keeping Journal of Molecular Evolution a valuable resource in the community, from prebiotic chemistry to comparative genomic biology to molecular evolutionary ecology, with many areas in-between. We hope not only to be a part of the molecular evolution community, but also, most importantly, to publish important papers in these disciplines.